Hello Today i m going to tell you something Interesting. The Interesting thing is that i m going to tell now about whats the Difference between 32bit and 64bit processor. A bit or binary digit is the basic unit of information in computing and telecommunications; it is the amount of information that can be stored by a digital device or other physical system that can usually exist in only two distinct states. These may be the two stable positions of an electrical switch, two distinct voltage or current levels allowed by a circuit, two distinct levels of light intensity, two directions of magnetization or polarization, etc. 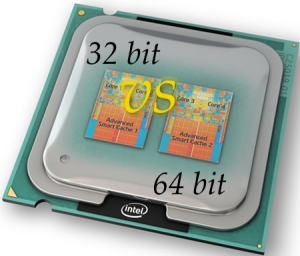 What are the Advantages of a 64bit Processor? The 64bit processor gives more greater performance then 32bit Processor. Allowing for the addressing of more of RAM, 64-bit processing can improve video encoding and decoding, CAD, VMs and some other applications. 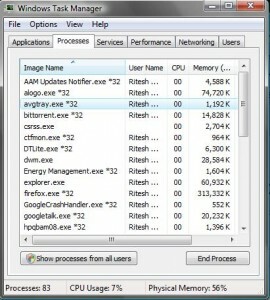 What are the Disadvantages of 64bit Processor? You’re currently not able to take full advantage of the technology because the software vendors haven’t made the switch from 32-bit to 64-bit processors. Most AMD Athlon 64 bit processors are expensive, with prices sure to go down in the future.